Adare Shutters who are one of Limericks longest esablished designers and installers of Interior shutters and plantation shutters have just announced that they have expanded their range of products to now include over 20 different standard finishes and continue to offer custom finishes to all of their products. "in these hard times people are looking to their own homes and spending their time thinking of ways to improve their home environment whereas before they might have been thinking about foreign holidays and luxury goods. So we have found that business is still brisk and are ensuring that we continue to deliver value for money and maintain our reputation for qaulity products." Visiting the show room in the Eastlink business park I was impressed with the range and variety of both products and styles available in the complete range that Eamon in selling and also was surprised at the excellent pricing structure that allows the customer to choose from a wide selection of materials and options to suit their needs. Eamon was also excited to tell me about the new blog that the company are now running and that it will contain onformation on new products and special offers for new and existing customers. The Limerick and Region Feast event in Curraghchase Limerick today was a great success with the crowds surpassing those expected and with everyone enjoying themselves the food and the atmosphere of the day. The display from West Limerick Vintage Tractors and our Master Farrier at work were very well attended and the demonstrations of Bread Making Jam making and Beekeeping wend down very well with the large number of attendees. Also information on Pig keeping and information was available from the Shorthorn Cattle Society. Information on growing your own Mushrooms and West Limerick resources were also in attendance. There was also be a Tamworth Pig spit roasted over Beachwood and served with local chutney & homemade bread there were Shorthorn Beef burgers roasted over charcoal and freshly brewed Ponaire Coffee and Con Trass’s Apple Juice among the delicacy’s available. West Limerick 102fm were broadcasting Live and there were lots of spot prizes on the day. Buttercup Farm hosted a fundraising event today for the Jack ans Jill Foundation. There was loads of things to keep the kids amused with bouncy castles and slides as well as all the animals to see. There was a clay pigeon shooting demo motor bikes and trucks as well as an excellent display from Munster 4x4. There was also pleanty of food about with a tasty pig on a spit! Twin Dragon Karate Club also put on a great demo of self defense and an amazing tile breaking demo. Took a trip out to Moyross Community Fair today and I have to say that it was a shining example of what a community can achieve when they pull together. It was an extremely well organised day with loads to keep everyone busy. The Fire Brigade were there with some of their tenders and the kids got a chance to knock down targets with the hoses. There was a BBQ competition with the Mayor Kevin Keily as one of the Judges. Spin Southwest and their pink minis were in attendance also. There was a Gaa Blitz and lots of other events for the Kids. I was just chatting with Klaus Woessner from Flourish Cosmetics in Kerry and he was telling me about the Rude Health Show that he was Just back from. The show in the RDS in Dublin was an amazing event that brought together a wide range of Irish natural and alternative treatment companies with everything from Chakra readings to Chocolate face masks. Klaus was telling me that both he and Geraldine are still recovering from one of the busiest couple of days they have both had in a long time due to the success of the show. Between restocking and fulfilling orders from the show and from the Flourish website he hardly had the time to email be a couple of photos from the show. Firstly I went to cover the Car Free Day Parade at City Hall. I have to say it was very well organised with loads to keep both kids and adults busy. There was a great display at the Treaty Stone at the end also. Sample photos below. Slide Show on our Munster Images page and the full gallery over [ Here ] on Picasaweb. Another well planned and organised event was on at the other side of town. So of I went as fast as my feet would carry me! Unfortunately I missed the parade but made it to the Street Party! Sample Photos are below. Click on the Picasaweb link or any photo in the slideshow and then on the download link to copy to your pc. The first of the newly revived Thomond Swims went off well this evening. With a great turnout from both swimmers and the crowds that cheered the swimmers on. Or Click [ Here ] to view the gallery online on PicasaWeb. Images from our Munster Images Event Photography Service - Contact us for Free Event Coverage. FASHION and fundraising will go hand-in-hand this October when one of the season’s fashion highlights takes place in aid of Milford Care Centre. ‘Fashion for Milford’ will take place on Wednesday October 14 in the Castletroy Park Hotel with proceeds going to support the vital services provided by Milford Hospice. “Local clothing outlets and shops have been very supportive as have Caroline Rafter and staff of Coco Hair, Nails & Beauty, Castletroy who are preparing the hair and make-up on the night. Ms O’Connor said another reason for the show being held in October was to help highlight the Irish Cancer Society’s Breast Cancer Awareness campaign. - Fashions will be provided by Gretta Gibbs, Diesel, Adeela, Seduzca, Jack & Jones, Butterscotch, Sinead’s, Amee’s, Isabelle’s, Jolie, Caroline Mitchell and Platform, with shoes being supplied by Shoe Flair. There will also be numerous stands provided by shops on the night. Ann-Marie Hayes, head of fundraising in Milford Care Centre, is really looking forward to a great night of fun and fashion and really appreciates all of the support for this great cause. Limerick Racecourse hosted the Custom and performance car show again this year and it was bigger than ever. lots of exibitors and a huge King ( and Queen ) of the ring competition. Sample from the online Photo Gallery are Below. If you have young kids and the thought of reading hansel and gretel or bear in the big blue house for the six hundredth time faces you every night then this new range of Kids books is just the ticket. Part of the profit from the books also goes to Irish charities Bernardos and the Cormack Trust. The Legendary Bear is a glossy, full colour, illustrated, rhyming, children's book (4-8 years old) based on Ireland's victory against England in the European Championship 1988. It describes the epic encounter between Irish Bears and English Lions in a way that holds the childs imagination. It fills the gap in the market for a soccer book specifically for younger boys and girls that can be read by their guardians, themselves or teachers and allows the guardian to interact through questions asked on the game and each player. The animals represented add another dimension to this interaction. It fills the gap in the market for a GAA book specifically for younger boys and girls that can be read by their guardians, themselves or teachers and allows the guardian to interact through questions asked on each player. The animals represented are all Irish aswell so this adds another dimension to this interaction. GardeningWell.ie Preparing for their Busy Season! with Container Grown Shrubs. Talking with Dermot from GardeningWell.ie this morning gave me a new appreciation for the amount of work that Irish gardeners put in year round to produce brilliant results. The average Irish gardener will spend hours every week maintaining and preparing their garden's and the next big phase in this is working on Container grown shrubs. Dermot was telling me that this is a very busy time of the year for him as keeping up with his orders for Container Grown Shrubs at the moment is keeping both him and his father Tom on their toes. and the Autum rush on Irish Fruit Trees leave them both with not a lot of time to spare! So of you are looking for a Munster based online plant catalogue with all of the variety of any of the top online garden centres run by a team with years of Irish gardening and landscaping experience then GardeningWell.ie is the place to go. SpeakeasyJazz Limerick is hosting an absolutely enormous Big Band this Thursday night!! Just a quick reminder that SpeakeasyJazz is hosting an absolutely enormous Big Band this Thursday night!! The Savoy Jazz Orchestra, lead by Alan Ryan-RTE-lyric, take to the floor (and the window sills probably!!) to lash out all the best from Glen Miller, Duke Ellington, Count Basie and many more of the greats from the big band era. It's sure to be the most outrageous gig we've had in the club so far, so bring your dancing shoes and feel free to get all glammed up in retro fashion!! To round up the night we have the dastardly duo, DJ Leon and Ms Skull who will certainly keep us all swingin way into the early hours. Limited floor space for this one folks so you may want to get there early if you fancy a hop!! Spread the good word folks, This joint's gonna be jumpin'!!! Reduce your heating bills now, you can save up to one third of your heating costs with immediate effect by changing from traditional heating systems like oil or gas to a new efficient heat pump. 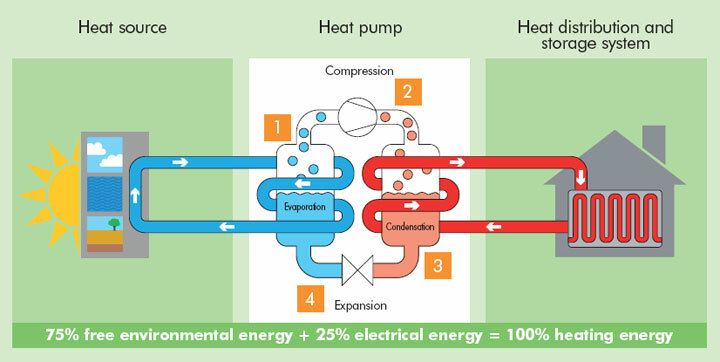 PET supply two types of heat pumps, air source heat pumps and geothermal heat pumps. Consumers seeking an alternative efficient heating system can save valuable time and money by engaging the services of an experienced professional company. PET offer solutions to your heating problems combining ethical business practices with expertise and customer service. PET only work with quality German products and have installed more than 200 heat pumps across Ireland. Their systems are based on Dimplex and Grundfos products ensuring the best quality and most efficient heat pump system available in Ireland today. The fact is that most companies don't supply these quality products and the consumer ends up with an inferior system. If space is at a premium you can decide to install an air heat pump at relatively low cost. If space is not an issue you can opt for a ground source heat pump which is powerful enough to even heat your swimming pool. An Energy Technology company helps consumers with high heating costs to reduce their costs and live in a warmer more comfortable environment. PET has a well established base of clients across the country. With over 200 successful installations Pure Energy Technology specializes in converting consumers from traditional heating systems to modern cost effective heat pumps. Prospective clients are invited to learn more by sending an email request to info@pet.ie or by calling 1890 25 29 36. Kilmallock Partnership sponsored by Ballyhoura Development Ltd and Limerick County Enterprise Board will hold an enterprise seminar on Tuesday 22nd Sept from 7 - 9.30pm in the Deebert House Hotel, Kilmallock. This seminar is aimed at local businesses in the Kilmallock area but also at people interested to set up a business in the area. A new enterprise centre will be opening in 2010 in Kilmallock with enterprise space and opportunities available. The seminar will consist of two guest speakers; Michael Daly of Riverpoint Development, Limerick and founder of Grant Thornton and Pádraic O Máille, motivation speaker/ facilitator of O’Máille Group. They will speak on the importance of being positive in the current climate and detail their previous achievements. The business opportunities in the Kilmallock area will also be discussed on the night. 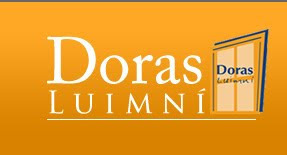 Doras Luimni was central in organising the celebration of Brazilian Independence today at Limericks Parkway shopping centre. It was an amazing celebration of Limericks multicultural makeup with locals mixing and enjoying the friendly atmosphere that all the Brazillians and Irish organisers made sure filled the Shopping Centre. Congratulations to the managment of the shopping center for their support of such an event showing their forward thinking in embraceing Limericks ever changing population. The Full Library of photographs are [ HERE ] and a few samples are shown below. The Volunteer fair at City Hall today was a great success and even the weather behaved! There was lots to see and hear with Limericks own Dennis Allen as well as several of the participents from Limerick got tallent keeping the crowds entertained. The CBS Pipe band and several other entertaining acts kept the mood very upbeat. There were many stands with information from clubs and community services present keeping the attendees informed on Comminty services available in Limerick. The BBQ cook off was also very popular. The full gallery of photos from the Fair are available [ Here ] a selection are below.